Yesterday CNET posted a mini gallery of somebody who transformed their canoe into one of the greatest boats on this Class-M planet we call earth. 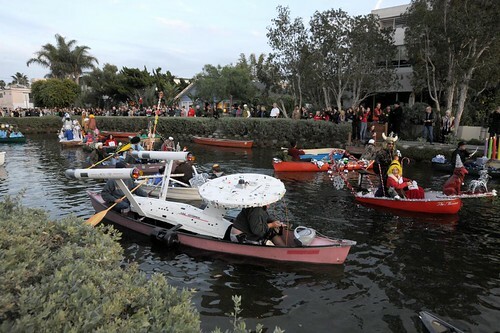 This was put together for the annual Venice Canals Association holiday boat parade and of course it won first place. Captain Kirk would have had it no other way.